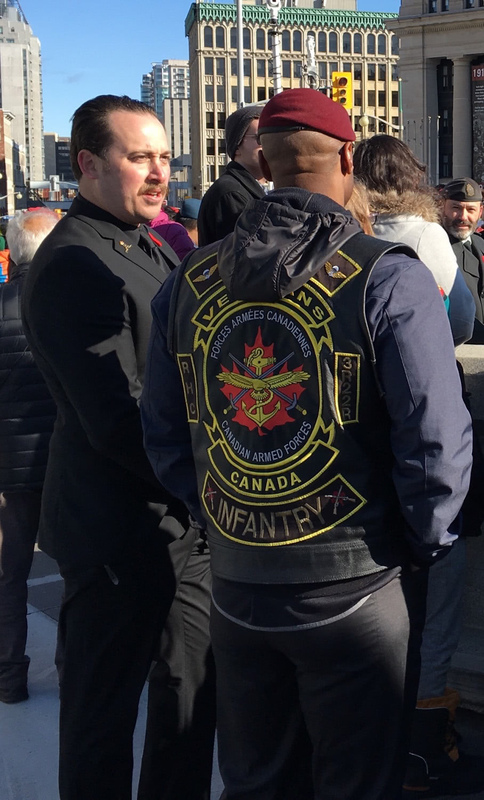 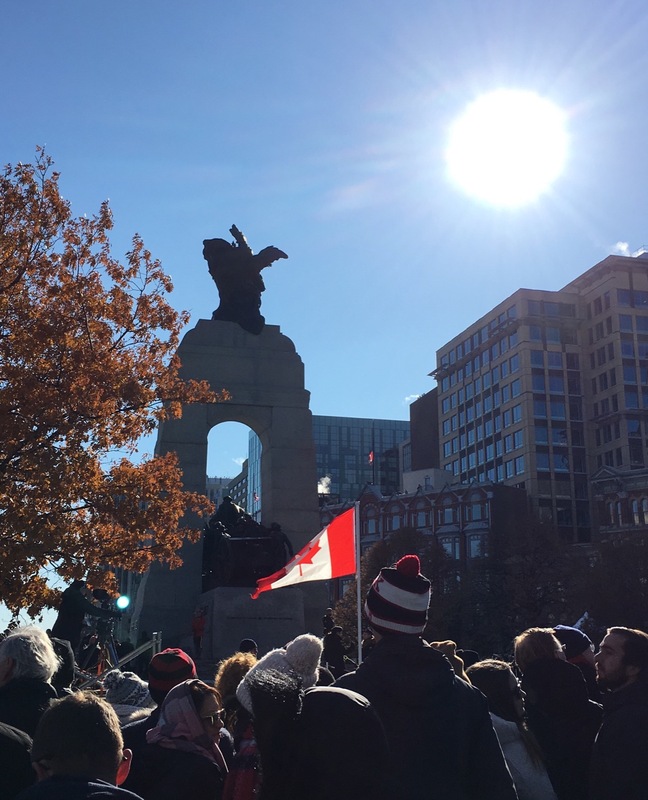 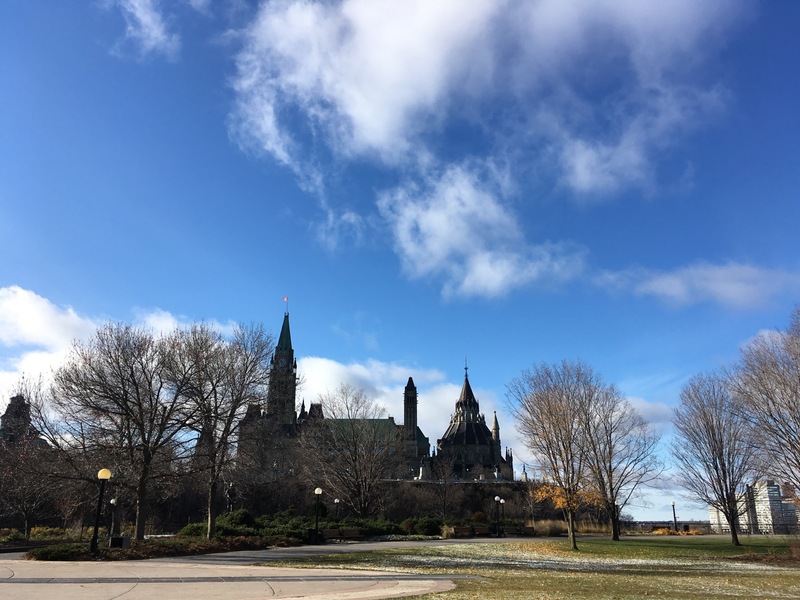 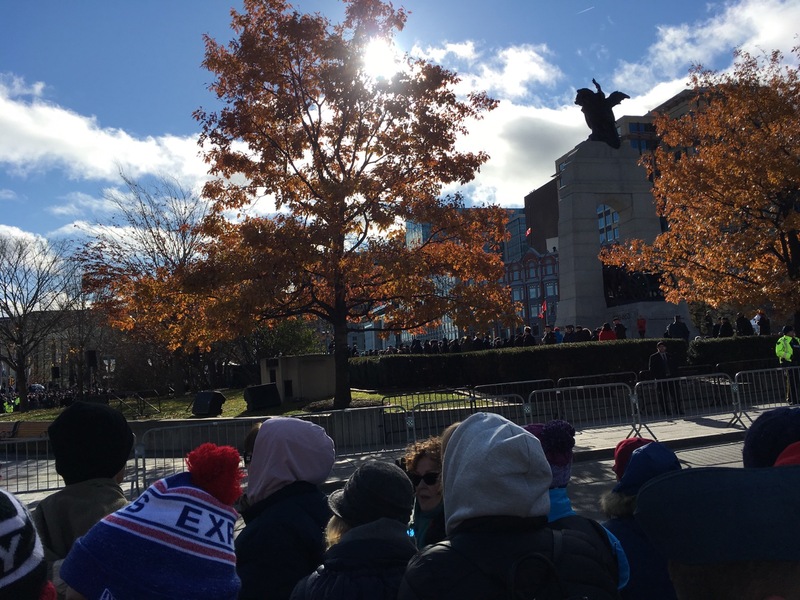 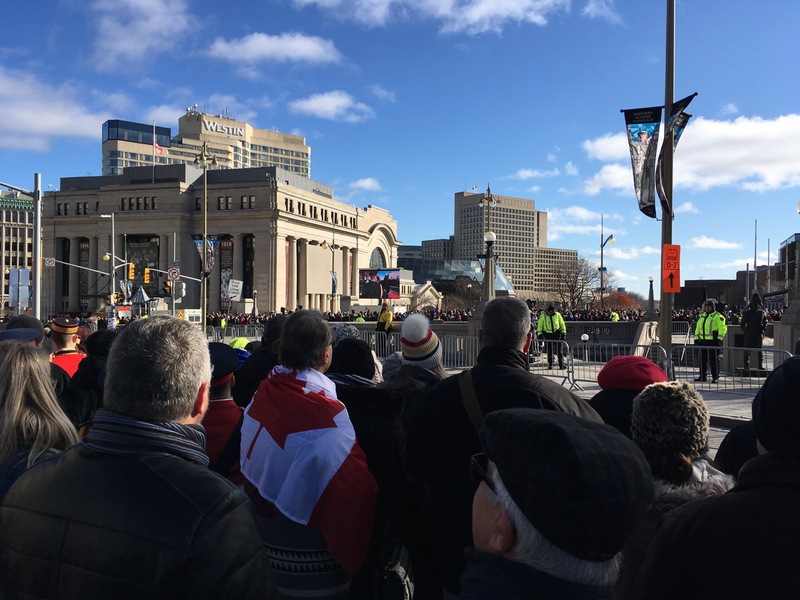 Today the sun shone and the air was crisp as many people waited up at Parliament Hill and the Cenetaph in Ottawa for the ceremony. 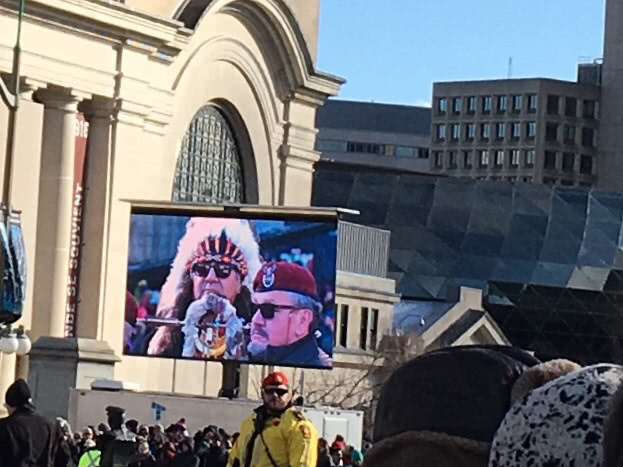 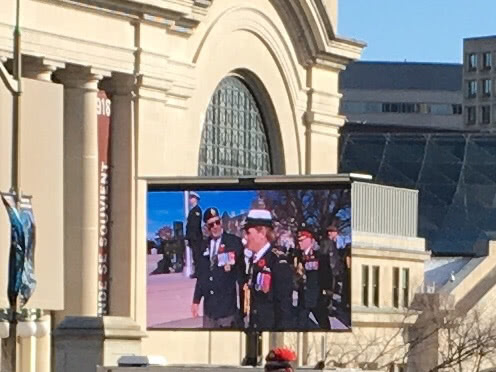 It was the first time in years that I have attended without my husband, and it was a bit too cold for my phone to catch all of the speeches but it caught a few pics and some video of the event. 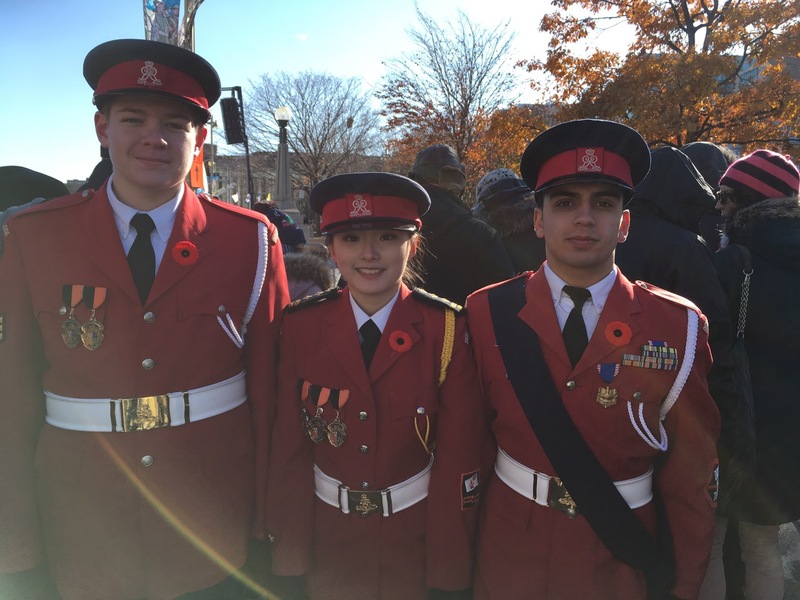 These young folk are from Ridley College in the Niagara area – came to Ottawa for the ceremonies.